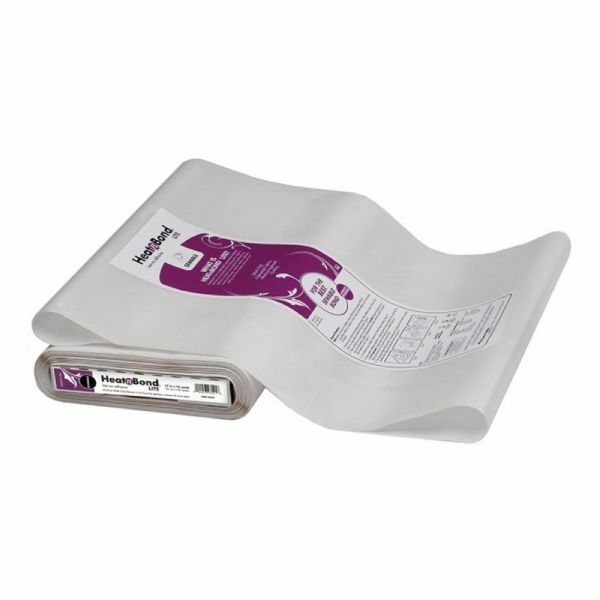 HeatnBond® Lite is a paper backed, double-sided sewable adhesive for bonding fabric. The product is ironed onto the fabric and gives a light weight bond which does not clog up your needle when stitching. Use it in place of spray adhesive, pinning or basting for appliqué shapes on quilts, wall hangings and clothing. Transfer your pattern by drawing it directly onto the paper backing to design appliqué pieces.